Daniel Nielson has put pen to paper on a new one-year deal, keeping him at the club until the end of 2018. After three years waiting for his opportunity, Daniel Nielson’s moment finally came against Fremantle. 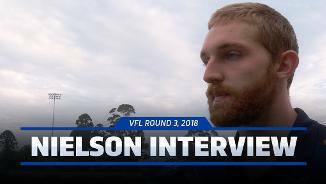 A strong defender rarely beaten one-on-one, Nielson regularly played on the opposition’s most dangerous forward for Vic Metro at the Under 18 Championships. 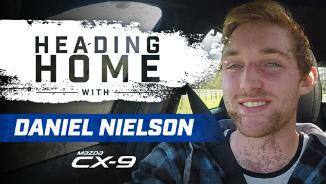 Nielson finished third in the repeat sprint at the AFL Draft Combine, and developed well in his two years at the Eastern Ranges under coach Darren Bewick. 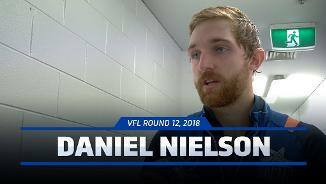 On draft night, the North Melbourne recruiting staff indicated Nielson’s future will be as the last-line defender capable of playing on the AFL’s power forwards. 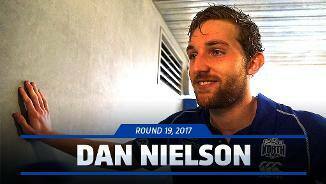 Pick 25 in the 2015 National Draft, Nielson had to wait until round 16 of the 2017 season to make his AFL debut. 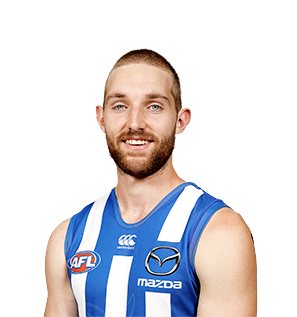 After impressing in the VFL for Werribee, Nielson was finally given the nod for a senior gig for the clash against Fremantle. Nielson cemented his spot in the backline for the back end of the season, putting in strong performances against the likes of Robbie Gray and Jack Watts. 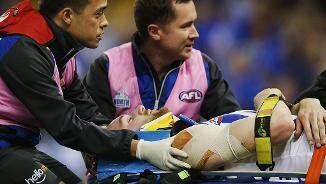 Nielson’s season was unfortunately ended with a concussion early in the round 22 clash with the Saints. “He spent a bit of time back at the development level when we actually had a lot of key defenders available. “Given that he’d missed a year with the knee and he hadn’t been back long at that stage, it didn’t matter as much because the objective was just to get him out there playing again. 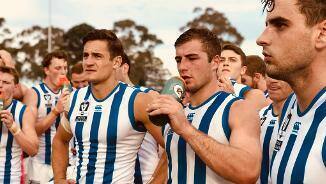 “For Dan it was all about trying to get him to play a little more proactively. He’s always been able to play on an opponent, stop them one-on-one, that’s his strength. “For him to play AFL footy he’s going to have to play as part of a back six, come off, spoil and do all those things that are important. “That was his focus and by the end of the year he was able to make improvements in that area. The key defender was making all posts a winner, before a season knee injury brought his season to an end in March. Nielson ruptured his ACL during a training drill, undergoing a long rehabilitation process. The youngster will be looking to get a full pre-season under his belt going into 2016.